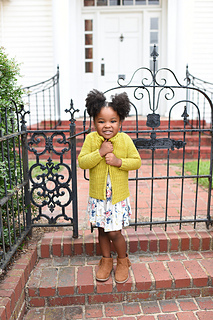 Because every Big Sister has a Little Sister, you can now knit up this wee version of the previously just-for-adults sweater (adult pattern sold separately). 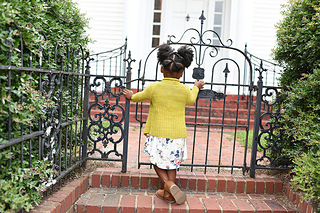 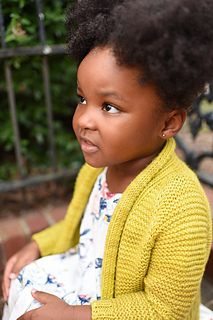 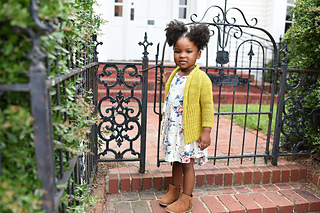 • This casually cozy cardigan is knit seamlessly from the top down making it easy to adjust the length if your child is petite or tall. 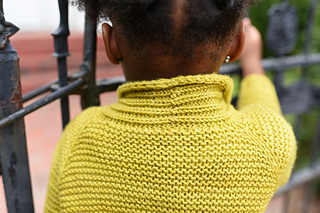 There is no finishing required as the collar is worked alongside the body. 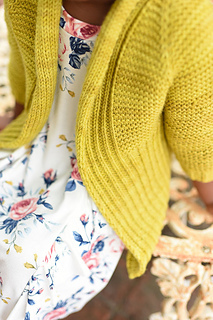 • Pattern is suitable for adventurous beginners. 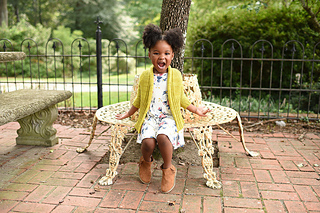 Savannah is wearing the size 4 with 2”/5 cm of positive ease. 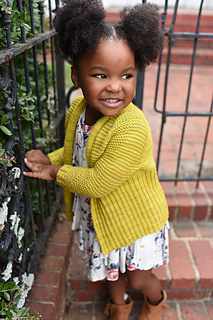 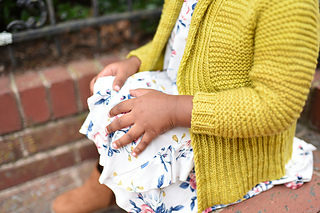 The cardigan features YOTH Yarns Big Sister in Mango.